When I saw today on the Ziosk mini-screen atop the Chili’s bar that happy hour ended 6 p.m., panic was not far behind. It’s 5:45 already! Hurry up and take my order. But the bartender calmly informed me 6 p.m. applied solely to food. For 2-for-1 drinks, happy hour is “every day, all day.” Thinking earwax was clogging my canal, I said, “Wait just one minute, Missy. You mean to say your happy hour is 24/7?” Missy gently affirmed. Oh… my… guacamole! I thought I died and went to cielo. 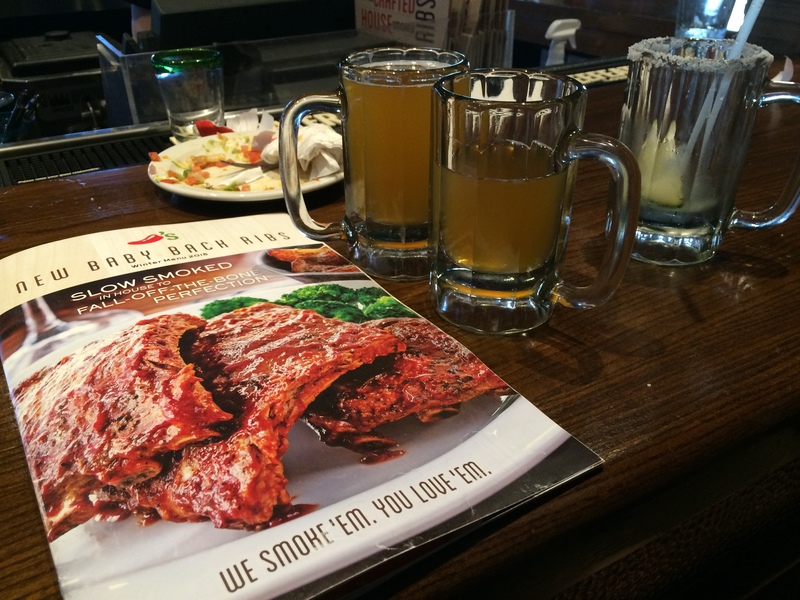 Two-for-one beers, wine, “well” mixed drinks (as in not premium brands), and classic margaritas are served at Chili’s round-the-clock. Since my mucho better half, Elyse, only goes one round at happy hour — though she lasts a lot longer when sparring with me — I commandeered one of her two classic margaritas, for starters; like Vegas used to do in its showrooms when you ordered a drink before the show began, Chili’s brings both drinks at once (for the price of one; $7.29 for a classic margarita). That refreshment didn’t last very long, and for a chaser, I ordered a Sam Adams summer ale (think positive! ), and Bruce got two brews. That was $5.29. Not bad for a night’s work. We added beef and guacamole, both slightly extra. Cost for a regular size: $7.19. Bodily damages: a mere 1020 calories. Classic nachos are a welcome departure from the all-too-common Mount Velveeta that other places shove in front of you. That should have been enough, but my eyes outsized my stomach, so I prevailed on my lady friend to also order the southwestern eggrolls. $8.49. Per the menu, they are… “Crispy flour tortillas stuffed with juicy smoked chicken, black beans, corn, jalapeño Jack cheese, chopped red peppers & spinach. Southwestern egg rolls do NOT have an MSG option. Nobody’s complaining. Served with avocado-ranch sauce.” And only 800 calories, positively dietetic by Chili’s standards. After I ate one, with a dab of sour cream, we asked for a doggie styrofoam to take the rest home for weekend snacks in between sets at the gym. Chili’s horseshoe bar is abuzz with a wide range of customers, which makes for constant people watching, if that’s your thing. We spotted our friend Robin Newhook across the bar, and she came over to catch up. Makes for a friendly, casual ambience, with plenty of room to move around. 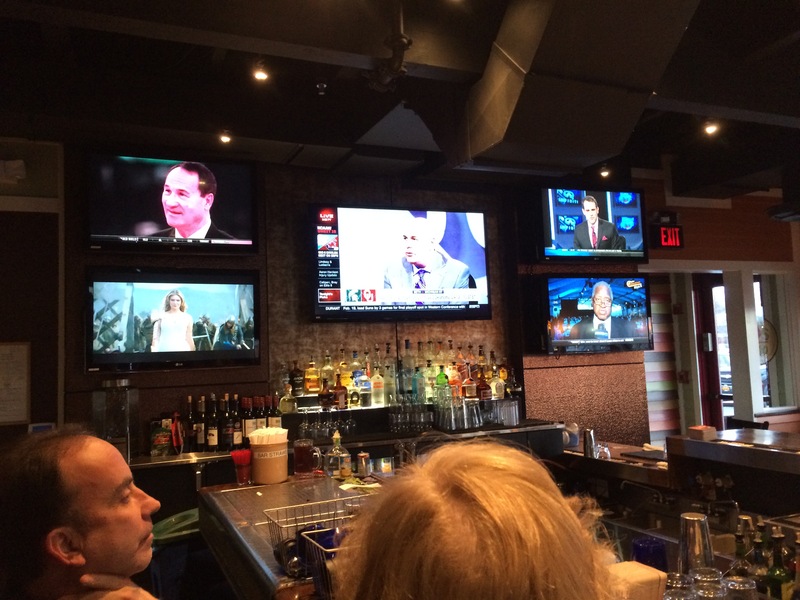 Or you can gaze at the array of flat screens above the din, tuned to sports and newsd. Array of flat screens are served free. 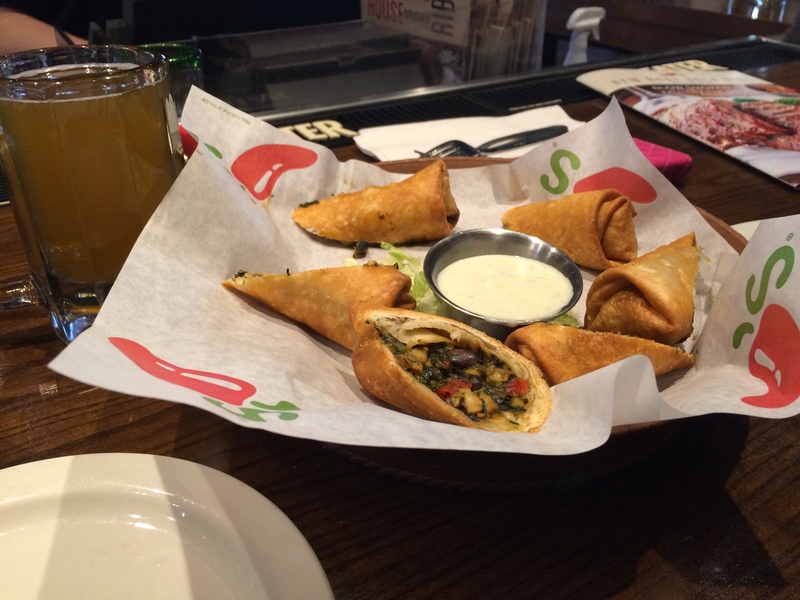 Part of the new Chili’s menu, we quickly discovered, is that none of the drinks are accompanied by prices. I get it. It lets them change the pricing at will, pegged no doubt to fluctuating barley futures and such. About those hours: for food, happy hour pricing is 3-6 Monday-Friday, and also 9-close Monday-Thursday, plus all day Sunday. For drinks, happy hour is round-the-clock. Enjoy, but don’t overdo. That way, you’ll enjoy the morning after too. SAFETY NOTE: Remember, if you intend to drive afterwards, keep any alcohol in your bloodstream safely below 0.08%, the legal limit above which you will be charged with Driving Under the Influence, or DUI, for both your own protection and that of others on the road. When in doubt what your blood alcohol level may be, err on the side of caution and stick to being a passenger. Bruce Apar owns and operates APAR All-Media, a Hudson Valley agency for advertising, content, marketing and public relations. Follow both APAR All-Media and Hudson Valley WXYZ on Facebook. Reach him at bapar@me.com. For many a working stiff, come 5 p.m. Friday — as well as other days of the week — thoughts understandably turn to loosening up limbs and laments with a responsible dose of liquid refreshment. As Pharrell Williams reminded us incessantly last year with his runaway, Grammy-winning, bank account-fattening hit, who among us doesn’t want to be “Happy”? 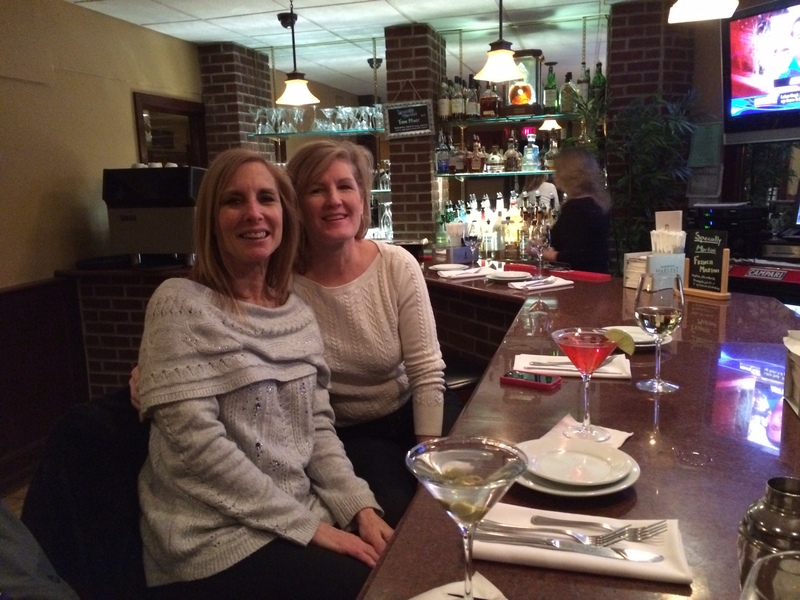 My wife Elyse and I recently have sampled several Happy Hours in the same precincts covered by the various Halston Media newspapers in which this column appears each week: Mahopac, Somers, Yorktown. Since social sharing is in vogue, this here happy chappy suspected some readers may appreciate an occasional mention in this space of Happy Hours we have known and enjoyed. These by no means are restaurant reviews. In fact, our Friday after-work routine has been to select a place that, ideally, offers special pricing not only on beverages but on appetizer-style or side dishes, also known as the “bar menu.” So, traditional full-course meals are not part of the equation. While not a hard and fast rule, the deeper the discount on pricing, the more tempting the destination. Quantitatively speaking, the “best” Happy Hours, price-wise, offer selected drinks at half-off, and reduced-cost bar dishes, provided you are imbibing and ingesting in the bar area, not in the main dining room. But there’s more to Happy Hour-ing than dollars and cents. Ambience, of course, always is a major factor when dining out, as well as customer service. Nobody likes looking at a bartender with a puss on or who’s slinging attitude along with drinks. Price, ambience, service are the ingredients for mixing a Happy Hour experience worth smiling about. The establishments listed here are a starting point. There is no shortage of other places we’ve found of comparable quality and value, and those will appear in future columns. Feel free to recommend your favorite haunt, whether you’re a patron or the owner, by emailing bapar@me.com. You also can see more photos at BruceTheBlog.com. It’s best to call to confirm the Happy Hour selections and pricing as restaurants tend to update menus and policies every so often. Monster Margarita at Excelencia Mexicana pairs a jumbo-size margarita with a mini-bottle of Corona, called Coronita. At $15.95, it’s not on the Happy Hour menu, but nonetheless the sweet-and-sour blend is more than enough to leave you happy. Half-price margaritas, beer and wine are served 3 p.m.-7 p.m. Monday-Friday and 2 p.m.-5 p.m. Saturday & Sunday. 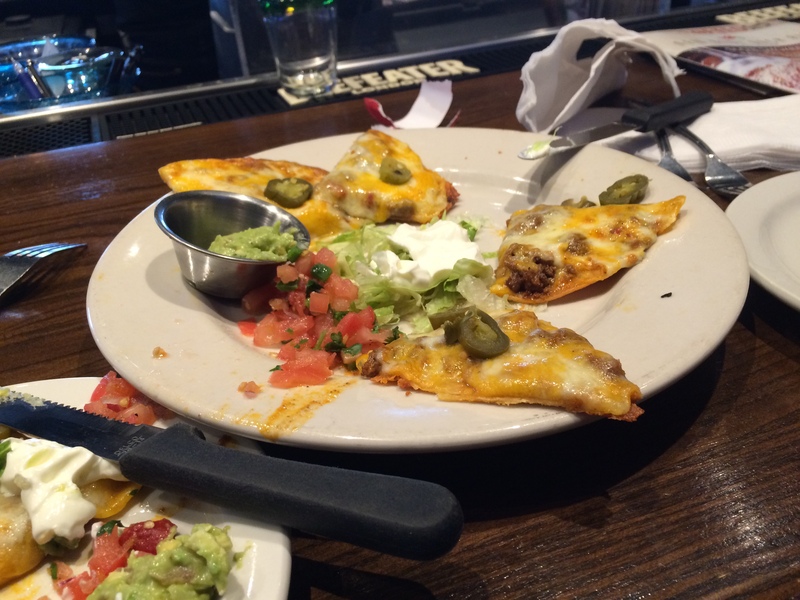 We’ve enjoyed the sausage poppers, nachos and mini tacos, which also are reduce-priced. Although not part of Happy Hour menu, a specialty here is the Monster Margarita, which combines a Coronita (small Corona) upside down feeding into a margarita. The sweet-and-sour blend is my taste buds’ friend. The website could use some help. Part of it is unreadable due to poor graphic design, and there’s no info on Happy Hour. Spoiler alert: Cinco de Mayo festivities are on the way! Elyse Apar (l) and friend Susan McCarthy enjoy the Friday night Happy Hour at Gaudio’s, which runs till 7:30 p.m.
A sampling of deliciousdishes at Gaudio’s includes cheese and olives; Margarita flatbread pizza; mussels in white wine sauce; and baked apple with cannoli cream, hot fudge sauce + nuts. This location, strategically situated at the corner of main routes 35 and 100 in Katonah — and neighboring Somers and Yorktown — has been around for nearly a century in one form or another. The nearly century-old landmark offers a unique, comfy down-home feel whether you’re hanging at the classic bar or seated in the dining room. Under the ownership since 2012 of Eddie Lubic (of Eduardo’s in Mount Kisco) and Ann-Margaret Wagner, the “Scoot” lets you take advantage of BOGO bar items (Buy One, Get One Free) 9 p.m.-11 p.m Thursday-Saturday. From 4 p.m.-6 p.m. everyday, there’s $1 off cocktails and starters, and $2 off beer. Live music weekends. “I’m just about the least sexist son of Adam you’ll ever meet,” I tongue-in-cheekily told one of the 180 or so females milling and mingling at the official launch of the Women’s Leadership Institute (WLI) at Manhattanville School of Business. More than 200 powerful female business leaders, community members, and local dignitaries participate in “speed networking” during the launch event for the Women’s Leadership Institute in late January at Manhattanville College. 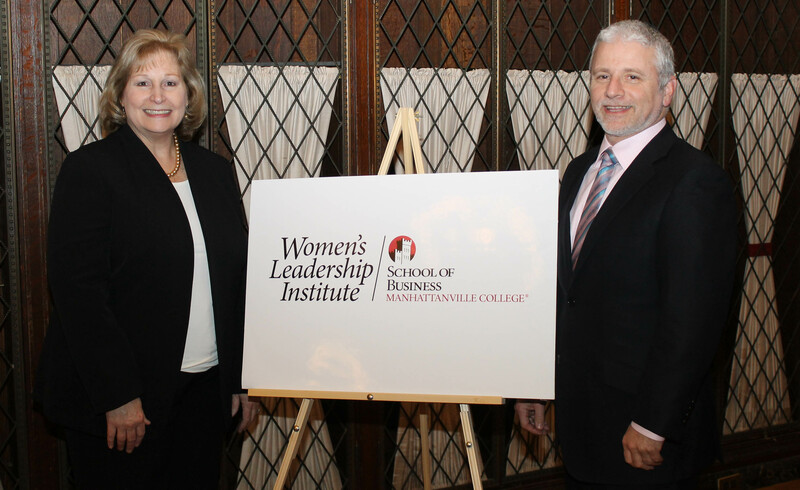 Women’s Leadership Institute Director Kathy Meany and Dr. Anthony Davidson, dean of the Manhattanville School of Business, unveil the logo for the Women’s Leadership Institute at the Institute’s launch event at Manhattanville College. Well, that’s what they are, by definition. Movers. Shakers. Not candlestick makers. As my collected business cards attest, the Leading Ladies I spoke with included Hilda Maria Valdespino, inspirational speaker and trainer; Maria L. Imperial, Esq., executive director of YWCA White Plains & Central Westchester; Janet L. Walsh of Birchtree Global, who helps businesses set up shop in foreign markets; Pat Braja, director of development at Westchester Library System; and Lynne Lori, an actress and acting teacher, whose improv class in Tarrytown I hope to soon attend. See, speed networking works! (From left) Manhattanville College President Dr. Jon Strauss; Women’s Leadership Institute Director Kathy Meany; event speakers Marcia DeWitt, Janet Hasson, and Marsha Gordon; and Dr. Anthony Davidson, dean of the Manhattanville School of Business, at the Women’s Leadership Institute launch at Manhattanville College. The Women’s Leadership Institute has been formed to help women maximize their potential and become impactful leaders,” he told the celebrants. Kathy Meany, director of the Institute, said it will offer educational programs, mentoring, coaching and training. A five-month certificate program called “Lead with Distinction,” for mid-level professionals and managers, will focus on such disciplines as financial acumen, communicating, strategic thinking, negotiating, and productivity. Dr. Marsha Gordon, president and CEO of The Business Council of Westchester, shares the importance of the Women’s Leadership Institute at the Institute launch event at Manhattanville College. The serendipity – and symmetry — of the groundbreaking program’s location in the heart of Westchester was duly noted by Business Council of Westchester CEO Dr. Marsha Gordon. She reminded us that two of the world’s most iconic brands – Pepsi and IBM – are not only nearby, but currently led by CEOs who happen to be female. For more information about program offerings or sponsorship opportunities, contact 914-323-5150 or email business@mville.edu. For our family, this is the historic week that was. It is the week everybody welcomes spring, a date that marks my first day on earth. The next day marks our son’s last. This is the week a dozen years ago when the U.S. invaded Iraq. 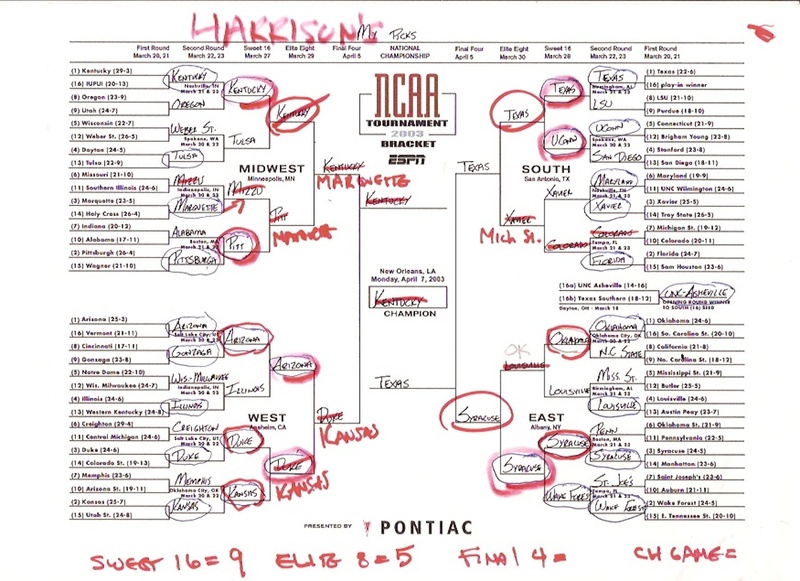 In his 2003 NCAA picks, Harrison correctly picked Texas and my alma mater Syracuse in the Final Four, but predicted Kentucky — this year’s even-money favorite to take it all — as the champion instead of winner Syracuse. It is the week a dozen years ago when my alma mater, Syracuse, began its triumphant march to giddy madness, winning the NCAA basketball tournament (OK, so our son the sports whiz picked Kentucky, but he did put ‘Cuse in his Final Four). This is the week in 2003 Harrison entered Children’s Hospital of Philadelphia for his third open-heart surgery. Fifteen years later, we sensed serendipity in returning to the city of Harrison’s birth for a life-saving operation, scheduled, no less, on my birthday of March 20. Indeed, he exited the operating room with my birthday gift pulsing like new, but the brief relief was a mean tease. A day later, notwithstanding the best efforts of six puzzled doctors huddled over him in the intensive care unit, Harrison’s 15-year-old heart halted. Our son was no more, and we were lost in lonely despair. The surgeon, his face ashen, his voice numb, sorrowfully told us our son’s rare condition put him beyond the reach of medical salvation. “I’m so sorry,” chimed in Harrison’s nurse, then broke down sobbing. We lay awake all night, doing the same, while staring into the darkest, deepest emptiness a parent can know. 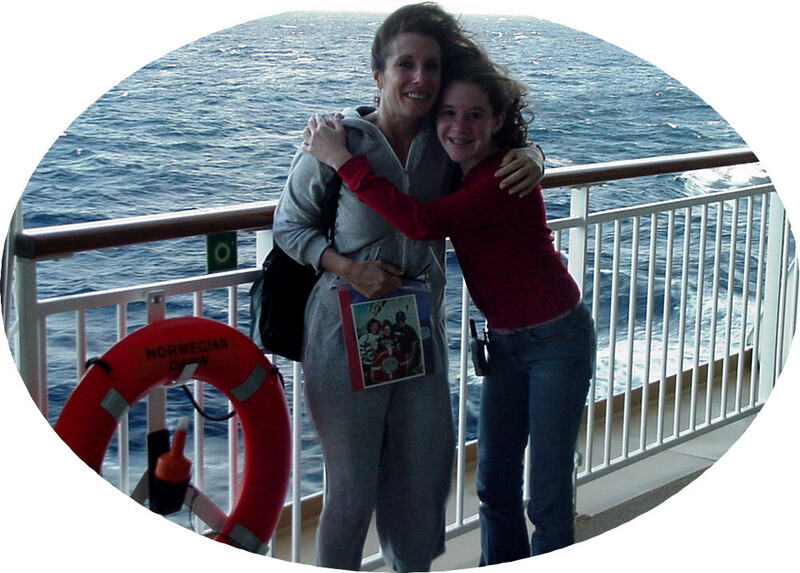 In December 2003, when Elissa was 13 (pictured with mom Elyse), nine months after Harrison passed, we went on a Caribbean cruise with other families to “get away from it all,” at least for a week. “Will daddy ever be happy again?” 12-year-old Elissa asked Elyse, as family and friends embraced a once-happy home suddenly awash in tears. The annual fall charity golf outing hosted by Harrison Apar Field of Dreams Foundation raises money for recreation and education for the betterment of families and youth in our community. It makes me happy to give back to the community through the Harrison Apar Field of Dreams Foundation, which we started in 2003 with the generous support of Yorktown Athletic Club (YAC) and Yorktown Police Benevolent Association. It has taught me that when you lose a child, what you gain is the privege and duty of helping others in your child’s name. Harrison strived hard to be just one of the guys, and pushed himself beyond his physical limits to show good things come in small packages. 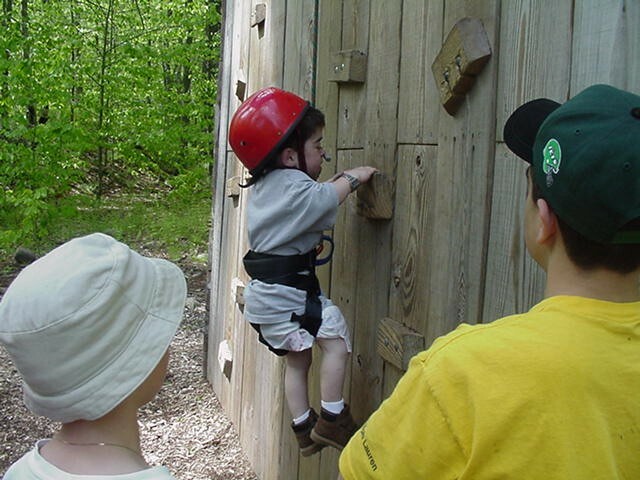 On the 7th grade weekend retreat at Frost Valley, he proved his true grit by stepping it up on the rappelling wall. 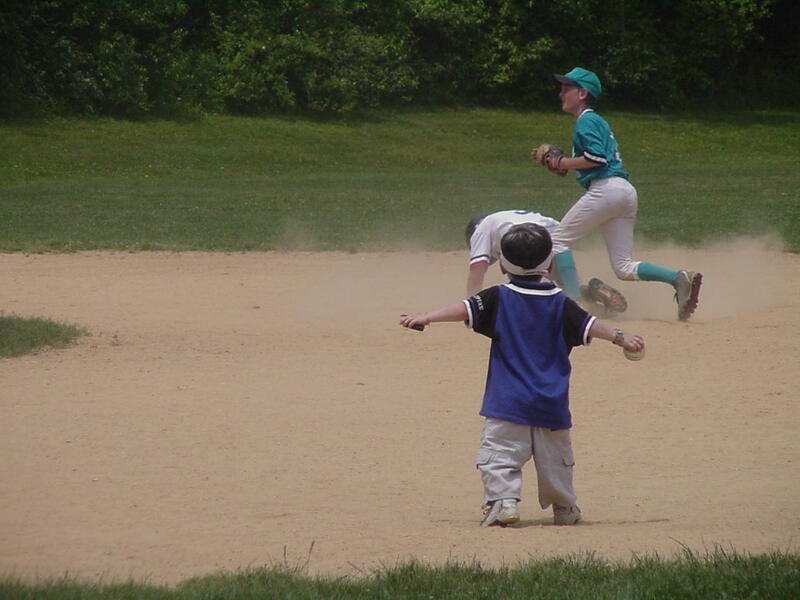 Harrison played and officiated baseball and basketball for YAC, to which I forever will be indebted for lifting my son’s self-esteem to where he felt 10-feet tall on the field, court, or stage. Thanks to Harrison’s passion for sports — he competed against peers virtually twice his size — I learned the inner resolve it takes to hold your head high even when closer to the ground than everyone else. 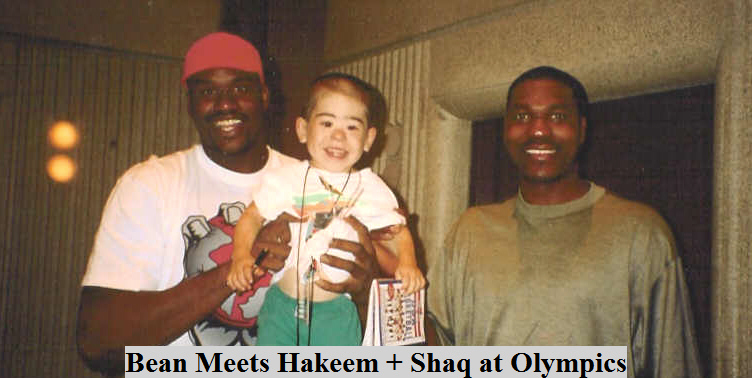 Shaquille O’Neal (l) and Hakeem Olajuwon had a “pick-up” game with 8-year-old Harrison Apar at the 1996 Atlanta Olympics. Despite knowing he never would sink a basket or hit a ball past the pitcher, nobody had more fun being out there than did Harrison. Because of his severe physical limitation, he took nothing for granted; he made the most of the least. TIme cannot heal this mortal wound, but it can help you learn to cope with the gushing gash of grief. Celebrating Harrison’s life gives us strength. If he made the most of every inch of his being, how dare those of us blessed with decent health come up short. 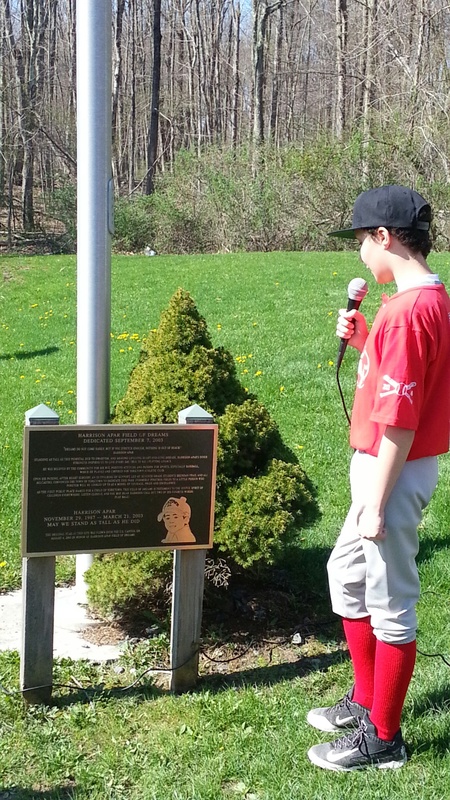 Within days of Harrison’s passing, 7th grader Brendan Frail (since deceased) took it upon himself to rally the town of Yorktown to rename a public park Harrison Apar Field of Dreams. Fittingly, the field has a bench in memory of Brendan. At the foot of the field’s flagpole, a memorial plaque is posted three-feet from the ground, by design the same height as Harrison, as a reminder to kids and adults alike that the true measure of a person is not a matter of inches, but a matter of character. Each spring on opening day of Harrison Apar Field of Dreams in Yorktown, a player for Yorktown Athletic Club reads the memorial plaque dedicating the field in Harrison’s name. The pedestal is three-feet high to symbolize Harrison’s actual height. It’s a reminder that stature is not a matter of inches but a matter of character. Such is the legacy of a little person who continues to inspire those who knew him, and to influence those who never met him. This is the week of the long-awaited vernal equinox, when the rites of spring are renewed in all of nature’s many-splendored glories. March makes me glad to revel in the return of kids like Harrison to the great outdoors, hearing the joyful noise of bat on ball, seeing them cheer on teammates. When he no longer could play basketball or baseball for Yorktown Athletic Club after heart surgery, Harrison refereed and umpired those sports. Here he officiates on Pinetree Field, which would be renamed for him, thanks to 7th grader Brendan Frail, who also passed. A bench at the field fittingly is dedicated to Brendan. I can hear that tiny umpire voice right now on the field that bears his name, uttering two of Harrison’s favorite words: Play ball! For all my March 20s, it will gladden my heart to know that Harrison kept the birthday promise he made 12 years ago. He gave his dad nothing less than the gift of a lifetime: His. Bruce Apar owns and operates APAR All-Media, a Hudson Valley agency for advertising, content, marketing and public relations. Follow it on Facebook. Reach him at bapar@me.com. 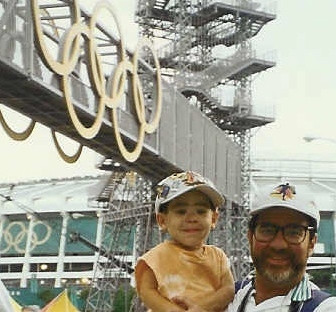 Harrison’s dad was privileged to share with his son historic sports moments (Yankees winning ’96 World Series against Atlanta Braves; David Wells’ perfect game in 1998) and events (1996 Atlanta Olympics).